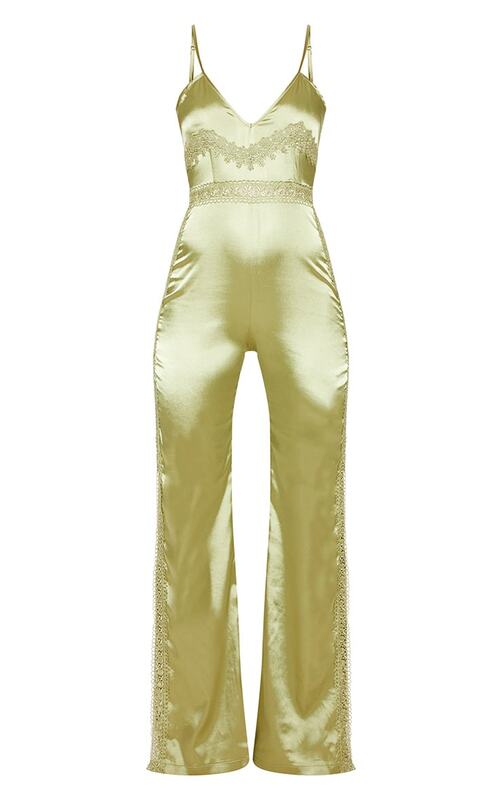 We are loving all things satin right now and this jumpsuit is at the top of our hit list. Featuring a sage green material with lace trim detailing and a leg split, what's not to love? Team with barely there heels for a weekend-worthy look we're loving.